I'll start this review with a confession: Final Fantasy VIII is one of my favourite games ever. Not Final Fantasy VII. Not Final Fantasy IX. Those are both perfectly fine, but it's the story of Squall, Rinoa, and the gang (especially Selphie, the original waifu <3) that really captured my imagination back in the day, and I've replayed the game at least five or six times over the years. Square Enix had better figure out how to preserve FFVIII by the time my PSPs and Vita finally die. Legrand Legacy looks like it comes from the same era. The developers claim that they were inspired by PlayStation 2-era JRPGs, but by the PS2 JRPGs were looking much more modern than this. The pre-rendered, single screen backgrounds, and overly blocky character design is far more reminiscent of a PlayStation 1-era top-tier title. In theory that means Legrand Legacy is the kind of game I'd love by default. Unfortunately, it's more like a PlayStation 1-era JRPG that was so bad it was completely forgotten, than it is a homage to the classics from the era. Legrand Legacy's biggest problem is its narrative, which somehow switches between overly dense lore dumps, and painfully shallow characterisation. There's a war going on on a grim, dying planet, and you play as a band of misfits on a grand quest to stop that, and a number of minor conflicts and local issues along the way. You move from one hostile, decrepit city to the next, spaced out with dungeons to explore and bosses to fight. Structurally it's exactly the same as any other JRPG from that era, but where Final Fantasy VII was asking questions about environmental sustainability, and Final Fantasy VIII was delving into a truly rich science fiction story of determinism, Legrand Legacy reads like a bad fanfiction. Unless I've missed something along the way, Legrand Legacy simply doesn't have those deeper themes to give context to the moment-to-moment storytelling. 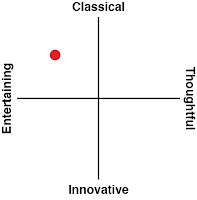 As a result, because the game isn't really driving at any particular message, the plot is all over the place, and it leaves an impression more of a story that was developed as new areas were created, rather than anything cohesive that was operating off a master script from the outset. Character motivations and actions are all over the place, and at times directly contradictory with what we previously told about the character. The plot meanders from one tropey event to the next, with many of the events and plot points existing exclusively to block players from continuing pushing the main plot forward. Over time, this all starts to feel like a deliberate and arbitrary attempt to extend the length of the game, rather than contribute to the overall sense of world and lore. It's also so poorly written. In one sub-quest the ghosts of a deceased wealthy woman begs you to find her former servants that she treated particularly horribly and make peace with them, so that she can be put to rest. "I'll tell you what: bring me 5,000 Danaar (cash), 2 Hi-Bloodstone S (healing items), and 1 Sp-Bloodstone S (also a healing item), and I'll forgive her," one of the former servants says, the first time you encounter him. There's no attempt to tell a meaningful story about why he's aggrieved. There's no emotion in the interaction at all. You're just thrown the extortion conditions that just coincidentally require some time-chewing grinding in order to move the side quest on. Another classic Legrand quote: "That was the Eye of Lir, a symbol of the afterlife. I've read about it. It means Lazarus has departed. Still, seeing the Eye... it was beautiful." That's just a dump of words, and even in context it doesn't mean much more than what you've just read there. Like or hate the likes of Dragon Quest and Final Fantasy, one thing is absolutely true about these games; they might have simple plots and the same structure for a JRPG as any other title, but structure isn't what make those games what they are. The enduring strength of those titles is the way that every moment within the 40, 50 hours of adventure is linked intrinsically with the game's broader themes. That cohesiveness is underpinned by on-point writing which never goes heavy on the lore; that's all there, but it's there with intent, and doled out in such a manner that it's easy to follow and remember. Legrand Legacy is a mess with its storytelling, and it doesn't lead to any insights or greater point, and for a genre that is as lengthy as the JRPG, it's a critical flaw for the game to have. The biggest pity is that there's plenty of room for the game to explore plenty of great ideas. The idea of a planet slowly fading is a good one, and has been explored incredibly well in everything from Mad Max and Fist of the North Star, to Dungeons & Dragons' brutal Dark Sun setting, through to the beautiful elegance of the Atelier Dusk series. But that idea needs to be more than a simple setting to work - it should be an opportunity to explore the way humanity would respond to such harsh conditions, but in Legrand Legacy it's just there. It crops up from time to time, but you could impose the same story over the most lush green nature you could imagine and the story itself would be mostly unaffected. At other times the game wants to indulge themes of class warfare, but it handles that as clumsily as you might like to imagine - the wealthy are bastards, the poor are downtrodden and need a saviour. 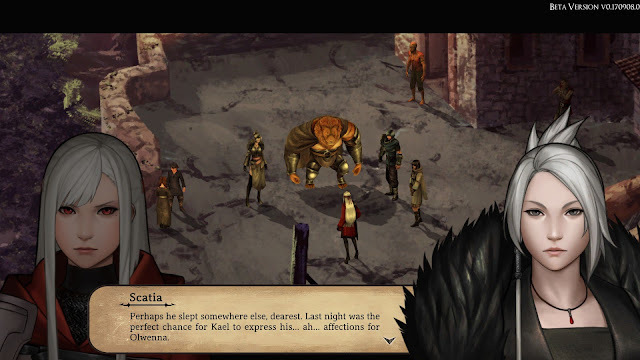 We've seen indie developers do incredible things in their RPG storytelling - look at how intelligent Masquerada: Songs and Shadows is. 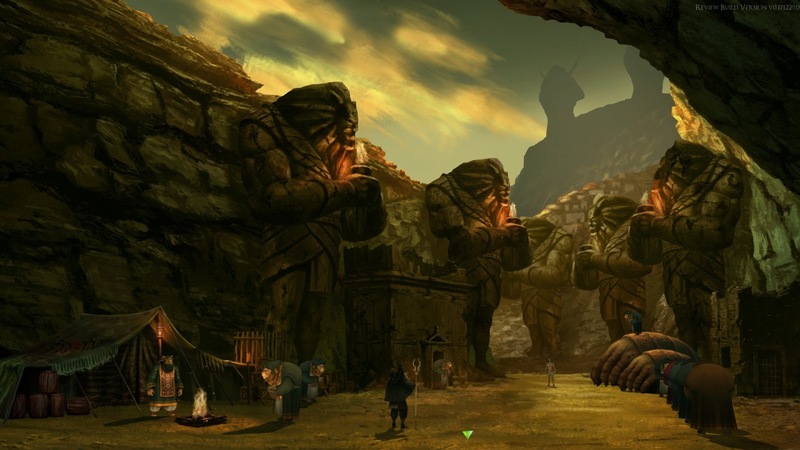 Legrand Legacy is, unfortunately, not in the same league. Legrand Legacy's combat system isn't much better than its storytelling. The most egregious issue is the "wheel of fortune" little mini-game that you need to go through before every single attack. A little wheel will pop up and spin around. You need to press the corresponding button (it changes each time), when the spinner is aligned with a small slip of the wheel to get a "perfect" attack. It's not a difficult mini-game, and I appreciate that the developer wanted to make "critical hits" dependent on skill rather than random luck, but still, when there's only one enemy left with next to no health left, having to go through these motions becomes such a drag on time. Worse is the perception that the wheel is at odds with the results. If you get a "perfect", then you're fine, but it's possible for attacks to miss on "good" results, and hit on "poor" results. This is because the wheel has to do with damage, rather than the overall effectiveness of the attack, but psychologically speaking it is beyond irritating to be told you've done a "good" attack, only for it to miss. (Note: It is possible to change, or disable this system in the settings. Something I never thought to check while because the system seems to be so integral to the gameplay. By default it is turned on. Disabling it won't greatly improve the gameplay experience, but it does help speed up combat). There are other mild irritations with the combat system, too. You're told that running into an enemy from behind will give you a first round advantage in battle. That's a fine idea in theory, but enemies "spot" you and will turn around as you try and sneak up on them in almost every case. There's no MP system to handle how much magic you can use, which has the effect of making the in-battle tactics that much shallower, since you don't need to worry about attrition or resource management when in a dungeon. Instead, all you need to do is figure out which enemies are weak to which attacks (which the game does helpfully tell you), and then spam those attacks. Cutting through those irritations leaves a combat system that is enjoyable enough, and adequately "retro" for a game inspired by PlayStation 1 JRPGs. There's even the odd difficulty spike and the need to grind for a while, which will annoy some, but got the JRPG nostalgic that Legrand Legacy is pitched at, the grind is an essential element. Enemy variety is more than adequate, and the boss battles were a highlight, as they needed to be. 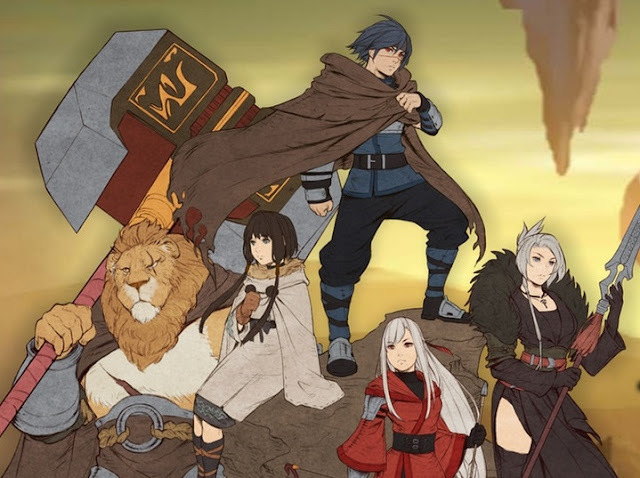 Legrand Legacy is, in the end, a very playable JRPG. Sadly it's also one of marginal appeal, even to those who grew up playing old JRPGs back in the 32-bit era. The JRPGs from that era that are remembered fondly are so loved because they were storytelling delivery mechanisms, and the ones that are forgotten are the ones with poor stories. 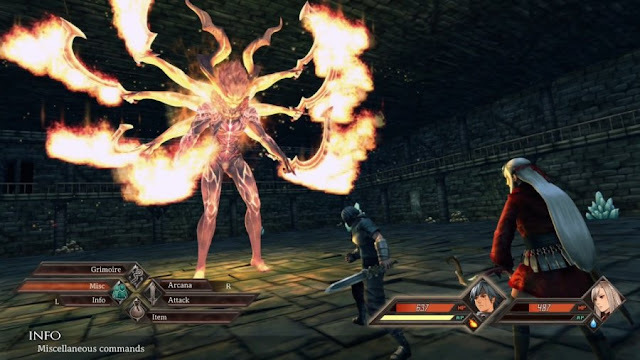 Legrand Legacy's developers seem to have made a mistake in assuming that the draw of these games was the combat system. While the team gets that side of things right, on balance, unfortunately the storytelling is just that uninspiring that the entirety of Legrand Legacy is a slog, and in no way representative of the best of the era it wants to be a part of.